You can’t have a big sporting event without a mascot now, can you? The 2018 IJF World Championships Judo are no exception to the rule. Indeed, the attentive eye might have spotted a leopard in judogi carefully treading around the venue. However, the predator is not spying on a prey he wants to devour. On the contrary, he’s doing his very best to entertain the audience in the venue. Meet Babir, the leopard. 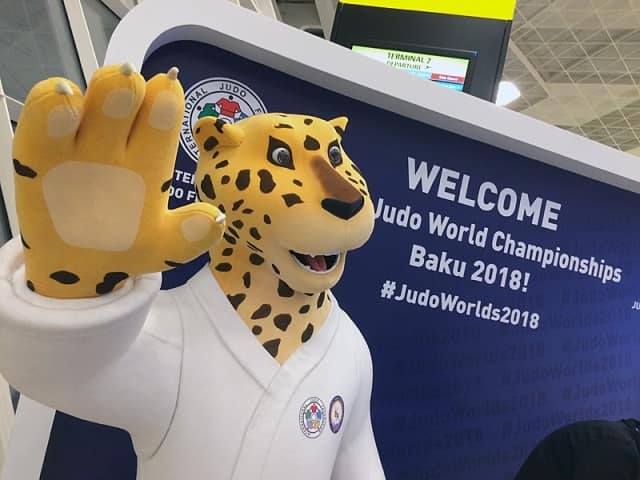 Any athlete, official or even anybody not even remotely involved in the Baku Judo Worlds arriving at the airport, couldn’t have missed Babir welcoming his guests in the arrival hall of the airport. Indeed, at the information booth of the Organizing Committee in the airport, Babir welcomed everybody with open arms … well paws rather. For this year’s Worlds the Organizing Committee opted for a leopard. The leopard is one of the most beautiful but also one of the most protected animals in the world. The giant among the leopards is the Caucasian Leopard, which is a unique sample of the host country’s fauna. The presence of this magnificent animal in the territory of Azerbaijan give the organizers of this event great joy and pride. 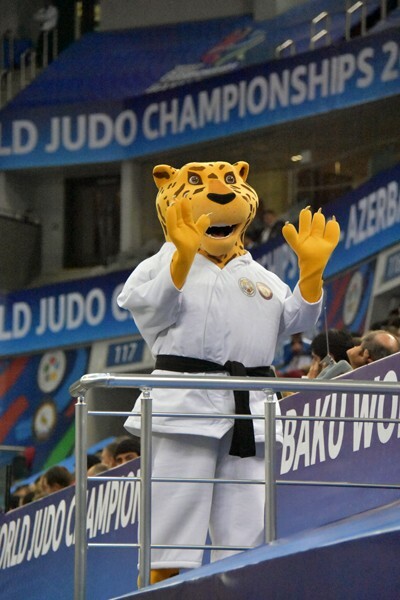 Caucasian leopards, one of the symbols of the natural heritage of Azerbaijan, are very strong and flexible, qualities that can be found in any judoka. 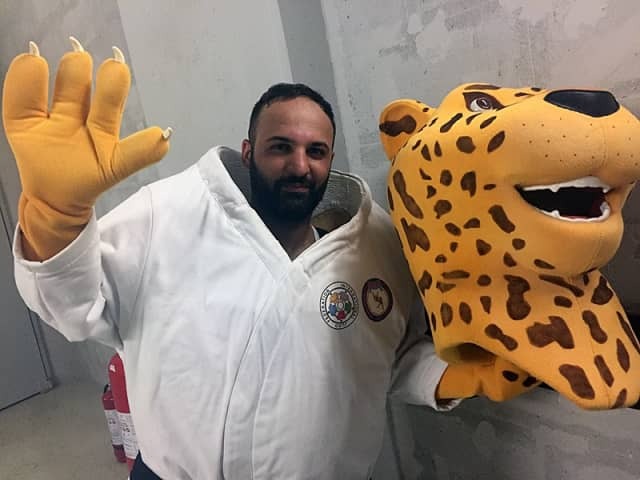 While a life like giant Babir is entertaining the crowds during the bouts on the tatami and in between slow moments, IJF Media had a chat with Orkhan, the man inside the beast. “It’s fun to be a crowd pleaser,” says the enthusiast guy. “Especially the children like Babir. I know they do as I have two kids myself. Walking around the corridors they all wanna make selfies with me.” The Babir suit is pretty hot to move around in, dance and do all those funny moves. “I’m melting sometimes,” says a sweaty Orkhan. “I have to take a break after a while to cool down. Every day I’m getting more used to the suit. I can put it on in less than five minutes. It is always a fun job to do,” he ends.